Now we’ll see how to create a workflow using a template: the welcome message. Click on "Create a new workflow" on the Workflows tab, then select the template "Welcome Message". If you are using our module for Prestashop, WordPress or Magento, you select the list to which your new contacts will be added. You can also upload your new contacts to a list via API. Another way of uploading contacts to a list is by using SendinBlue subscription forms. Then every time a user completes the subscription form on your website, they are added to the preselected list in SendinBlue. Select the list to which your new contacts will be added. Let’s assume that the list is called "Newsletter Subscribers". In this workflow template, you can add a delay. This delay will depend on the content of your email. For example, if you want to send a subscription confirmation email, we suggest you do not add a delay. However, if you decide to send an email summarizing your products/services, we recommend that you do add a delay. This will give the user time to browse your website before receiving your message a few minutes later. Here, we have chosen to add a 5-minute delay to tempt users with special offers and promotions after some of them have left the website. Once the delay is up, the next step in the welcome workflow is to send an email. This email is one of the first messages your new contact will receive, so we suggest a general email outlining your products and/or services. 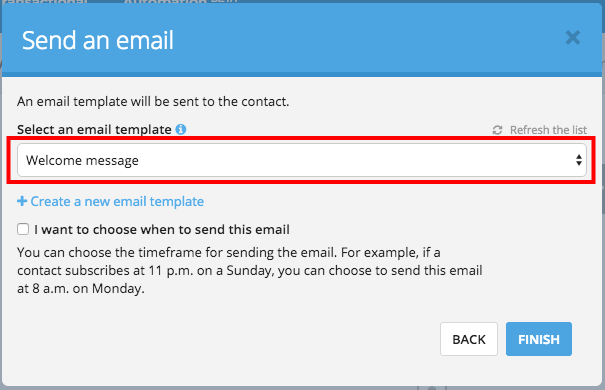 To create this email, you just need to go to the SendinBlue Campaigns platform, select the Campaigns tab and click on "SMTP Templates". You can then create a new campaign using our Responsive Design editor, or you can use the preset templates to create the welcome email. Note: don’t forget to activate your email template by clicking on "Save and Activate" when you have finished. 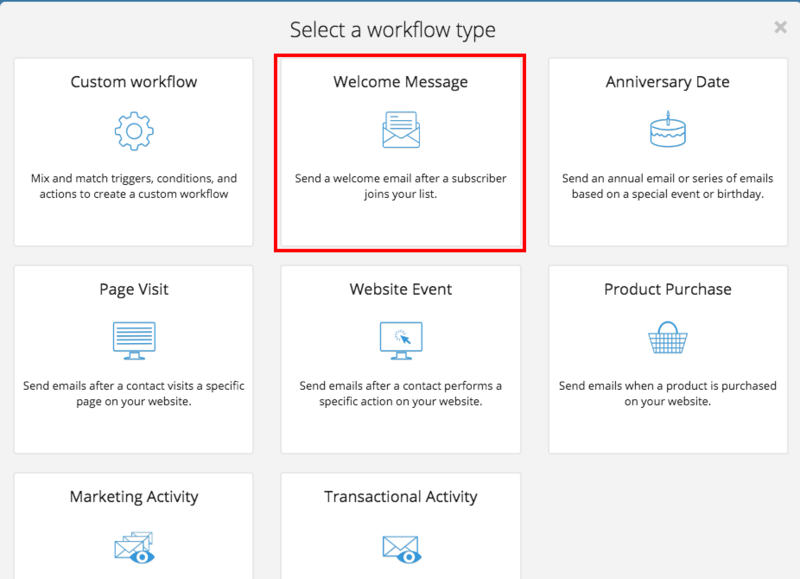 Once your welcome email is complete, you can just return to your welcome workflow and select the email template from the list of Automation emails. Finish your workflow by clicking on the "Finish" button. Your workflow will be activated automatically and you can then access the workflow editor. Your new contacts will now enter your welcome workflow.